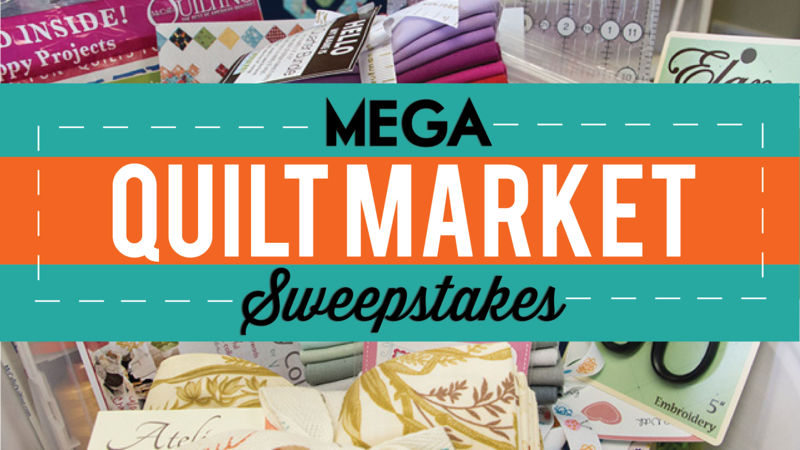 If you haven't heard about the BIGGEST GIVEAWAY in quilting history, then you're missing out! Our 2014 MEGA QUILT MARKET SWEEPSTAKES has a total value of $6,300 and best part is... we will have lucky TWELVE winners for these amazing prize buckets! Oh, and did we mention, it's open to anyone and everyone (Yes! domestic and international residents). Watch our Youtube video to find out more information on the prizes! So what are you waiting for? To enter our Sweepstakes, all you have to do is fill out our survey below in the Rafflecopter box and you do not have to be on Social Media to enter (just use your email address). There are 25 total questions, and each question gains you 1 entry, so you can have up to a total of 25 chances to win! Pretty sweet! If you answer 10 Questions, you entered the contest 10 times! The MORE questions you answer, the MORE chances you have! HURRY, you have 3 days left to enter! We'll announce our twelve unbelievably lucky winners on Tuesday, July 1, 2014!